Bats play an important role in the function of our local ecosystem here in Dallas. They act as natural pest controllers, eating thousands of bugs and insects daily. However, they are still unwelcome in our homes and on our property, as they pose significant health risks and can cause damage to your home. Bats are known to carry a number of infectious diseases, most notably, rabies. The most dangerous part of having bats in your home though, is their feces, or guano. If you notice signs of bat activity in your home, it is imperative to seek professional help as soon as possible. The key to preventing a major infestation is early detection, which helps keep your home and family safe. A dead giveaway of their presence in your home is their guano. It is distinctive in its small, round shape and dry texture. If stepped on, guano will crumble into dust that can contaminate the air in your home and potentially spread infectious disease. When bats come and go from your home, they often leave evidence of their presence in the form of wet spots at the entrances and exits they use. This is because they generally empty their bladders before entering or exiting a room. If you notice piles of guano or wet stains on roofing soffits, there is a good chance of bat activity in your home. Here at Critter Control® of Dallas, we have the knowledge and experience to safely relocate these important creatures from your home, while keeping your home and family safe. 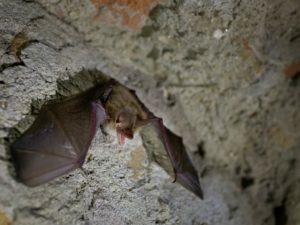 Additionally, there are laws and guidelines surrounding the capture and removal of bats in certain areas, so it is imperative to never attempt to remove bats on your own. If you suspect a bat problem in your home, call Critter Control® of Dallas today at 817-222-1101.